As consumer needs evolve, insurers must bring new products to market quickly to keep up with changing demands and lifestyle. Too often, their siloed and legacy technology environments hamper their ability to launch new products. There is a better way. With the right strategies it’s possible to bring new products to market quickly. And, choosing the right partner. 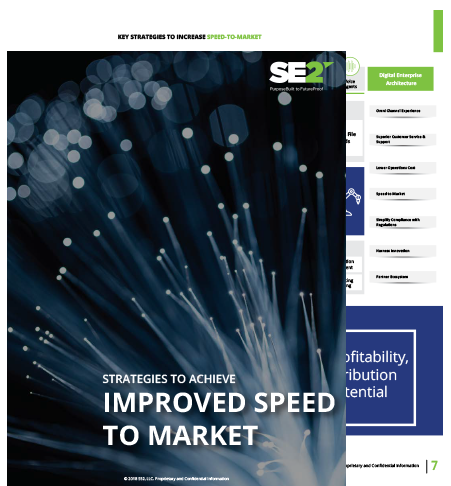 Download the strategies that can help organizations get innovative, targeted products into the marketplace quickly and efficiently.